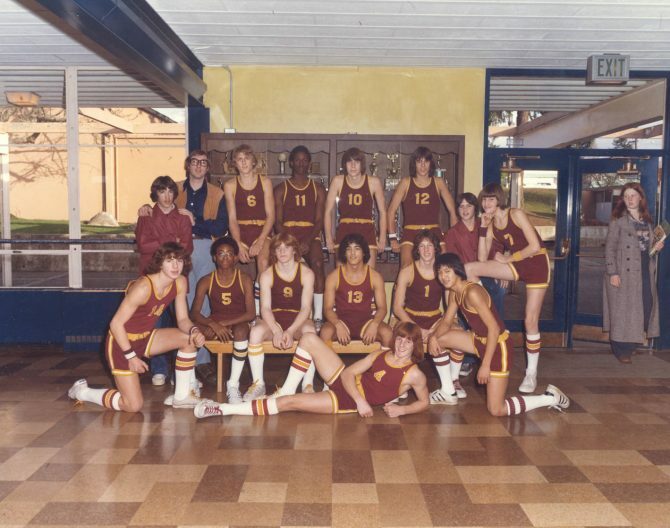 Long-limbed athletes posed on October 31, 1974, at John S. Baker Junior High (now Middle School). These boys are believed to be the school's basketball team. They are wearing Baker's school colors of maroon and gold with knee length socks.